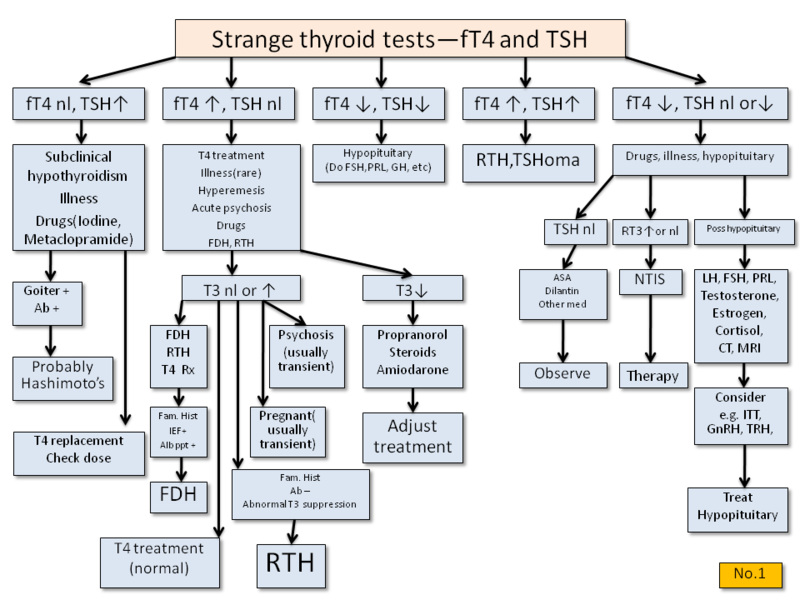 This scheme is intended to provide a general guide for interpretation of abnormal thyroid function test-- tests that are "abnormal " in the sense that they do not fit with typical hyper or hypo-thyroidism. Possible explanations are offered for consideration and investigation. IEF- refers to isoelectric focusing analysis, Alb.ppt- refers to albumin co-precipitation analysis, and NTIS refers to "Non-Thyroidal Illness syndrome". FTE refers to any test equivalent to a free thyroxine measurement.